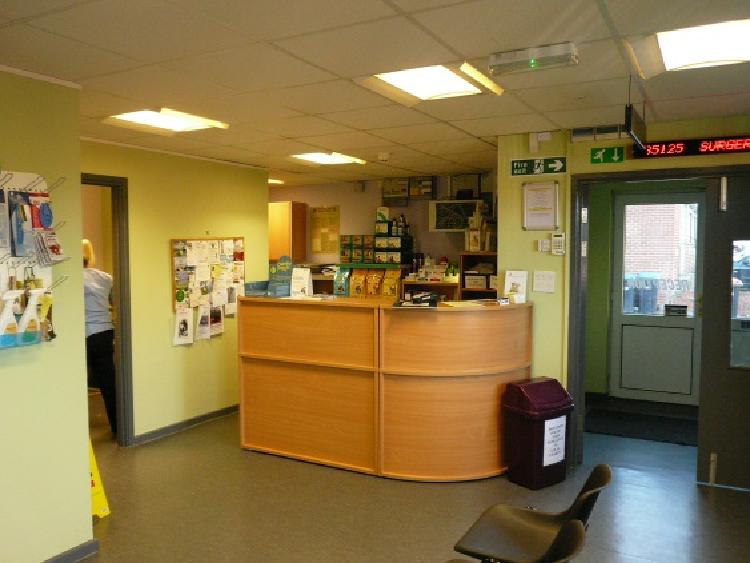 Cestria Veterinary Centres existing premises were becoming too small and there was no scope to extend the building. 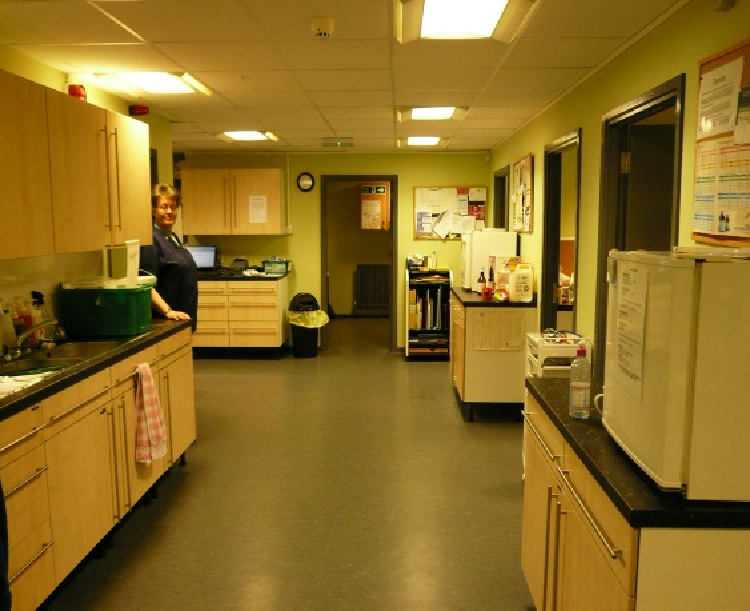 So, the Landlord offered them a modern two storey office building in the same development which they felt was suitable for conversion into a Veterinary centre. 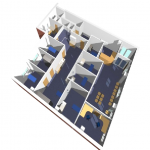 We quickly surveyed the building and produced a 3D model of it so that Cestria could easily visualise the proposals. 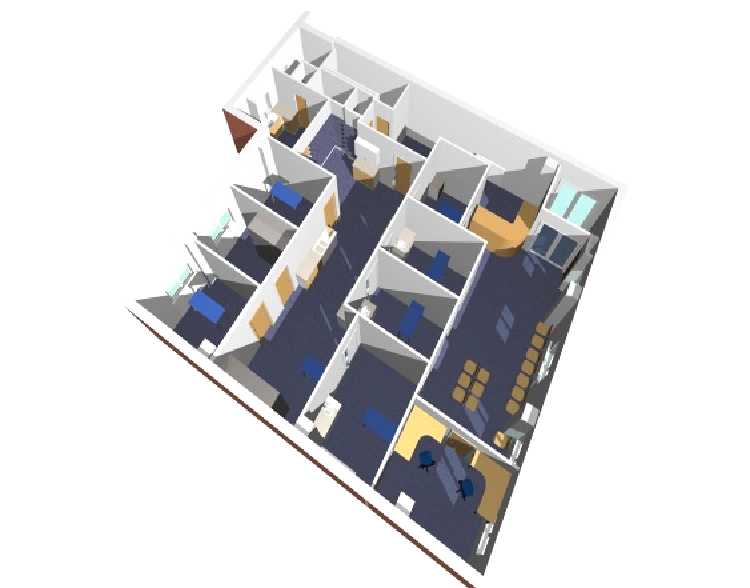 We obtaining Planning Permission for them and developed the working drawings quickly. 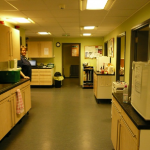 In this case Cestria themselves arranged their own building contractor and managed the project on site. The owner, Gillian Maxwell, is very pleased with the outcome and finds the new scheme less stressful both for her staff and for her Clients. 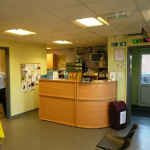 Consultations have increased significantly since moving into the new premises. If you would like to discuss anything you have read on this page or if you would like to discuss how we can help you with a specific project, then please contact one of the team today. You can do this by completing the form on the right-hand-side of this page, by calling us during office hours on 0191 213 0133 or via other means listed on our Contact Us page. We will listen to you, review your requirements and recommend the most appropriate solution for you. This is of course free of charge and entirely without obligation.